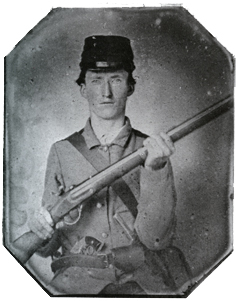 Robert B. Cox, Perquimans County (13th Virginia Cavalry, Company I). Taken from a letter written by Major Tristrim Lowther Skinner to his wife Eliza on June 5, 1862. Tenderly touch it, look on it with pride. The Jacket of gray our loved soldier boy wore. Can we e'er forget when he joined the brave band? Who rose in defence of our dear Southern land. Taken from “The Jacket of Gray” by Caroline Ball. Military campaigns for the North and South typically followed seasonal changes with battles in the spring and summer months followed by camp in the fall and winter. Established camp duties included reveille, drills, dress parade, and taps. Their shared burden of sacrifice, recollections of home life, and times spent together in recreation promoted the formation of many lasting friendships. 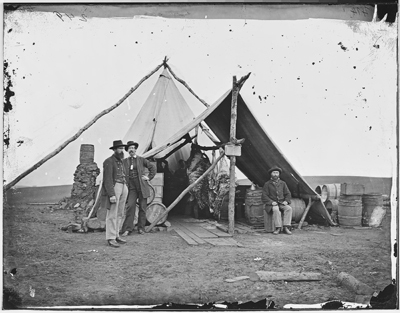 At the beginning of the war, both Confederate and Union armies had the same rations that included salted beef or pork, bread or hardtack, flour or cornmeal, beans or peas, rice or hominy, coffee or tea, sugar, candles, soap, and molasses. By 1862, the Confederate Army began to issue rations in smaller quantities due to scarcity of goods. 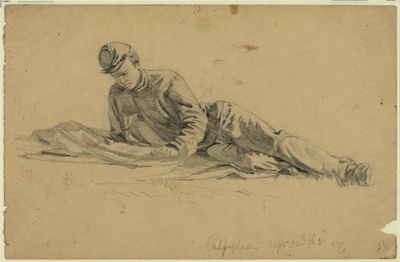 Edwin Forbes Pencil Drawing Titled "News From Home"
Colonel Henry K. Burgwyn of Northampton County writing to his mother, February 9, 1863. Most soldiers had never been away from home for long until war began. Consequently, many soldiers became letter writers and mail factored into morale. 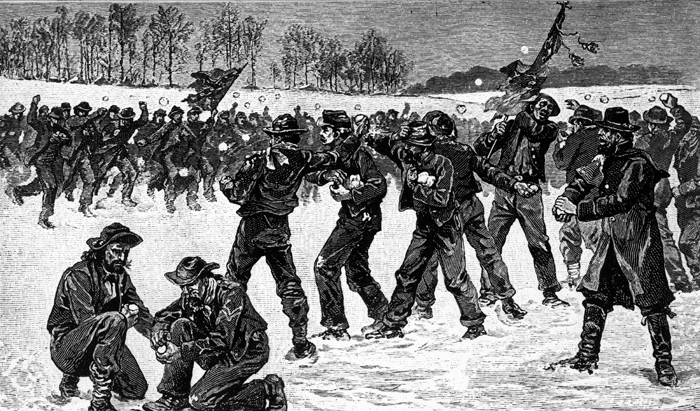 When not performing their military duties, soldiers spent recreational time fishing or swimming during summer and snowball fighting during winter. Drinking, smoking, and games such as dominoes, cards, marbles, or baseball filled the hours during the rest of the year. Diary entry of Confederate Lieutenant Alonzo Etheridge Bell for September 16, 1861. Confederate and Union soldiers were captured and imprisoned during the war. Most captured North Carolina Confederates went to prisons in Maryland, Delaware, New York, Massachusetts, and Ohio. 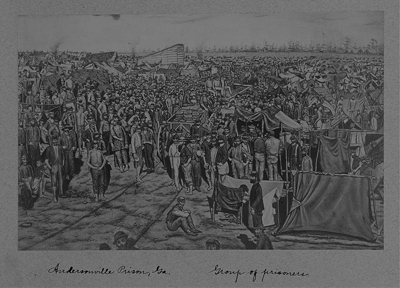 The Confederacy operated prisons in areas such as Salisbury, North Carolina, and Andersonville, Georgia. 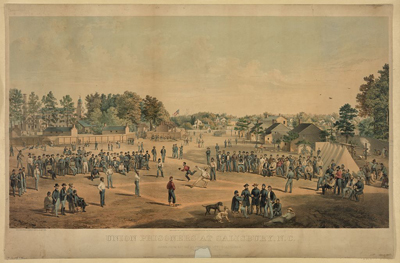 Illness was a constant threat for soldiers in prisons and on the battlefield. Prisoners complained of unsanitary conditions, illness, disease, and poor diet. Communicable diseases spread due to overcrowded conditions and tainted water supplies. Surgeons and commanders continuously worked to control disease through treatment and improved sanitary conditions. In the end, more soldiers died from disease than from battle.